This is a vintagetools custom rack (VTCR) ready for 8x TELEFUNKEN V672 modules. The rack is build as a 19" 3RU rack with an internal analog power supply, XLR I/O´s on the back and all internal wiring already done. Just insert up to 8 TELEFUNKEN V672 or ANT TELEFUNKEN V672a preamps and start working. 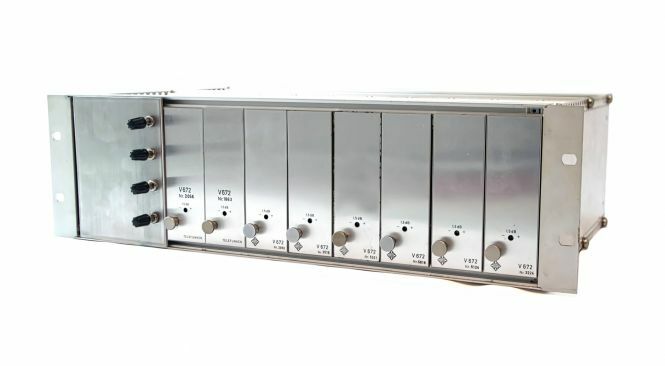 The 4 stereo pots give you a gain control from 0dB to 20dB, so this rack was designed to work as a 4x stereo line preamp rack. However we can modify or customnize this rack after the buyers needs. 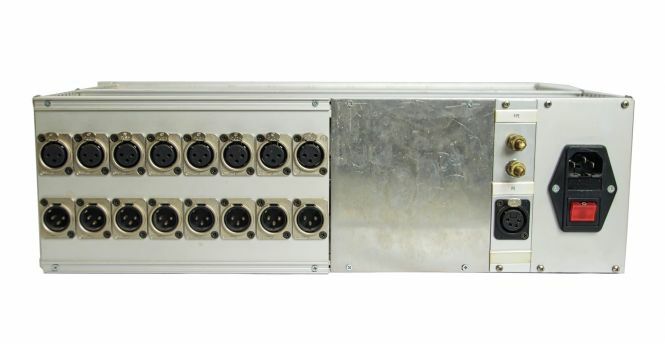 It can also work as a 1-8 modules mic preamp rack with higher gain (up to 60dB). If you are interested in a ready made mono or stereo mic preamp solution, please also check the VT672 racks we build and offer on our website. More information on the TELEFUNKEN V672 modules can also be found on our site. Search for TEL120 or V672 in the searchfield. The 8 TELEFUNKEN V672 modules shown on some pics are included. You can also buy the empty rack and add no, or only some modules.